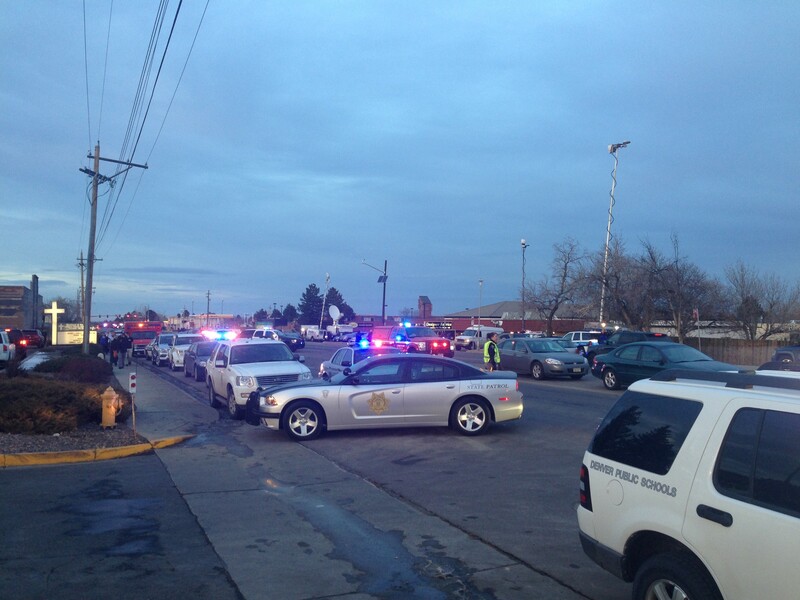 My experience of the Arapahoe High School shooting. Taken by me on the track of AHS, after the evacuation. When I was driving to Arapahoe High School that morning, I drove past the soccer fields and there were what looked like hundreds of geese standing in the field. I thought this was particularly odd, because although I’ve never really driven past the soccer fields to the school, I never expected for such a large quantity of geese to be gathered in such a crowded field. After lunch, I went to my Studio Art class, and low and behold my graduated friend was there to visit us. I enjoyed his company, the elective I was able to relax in, and the flow of the day as it was going so far. My graduated friend left as he needed to grab lunch, and my best friend Riley and I then headed to our next class for fifth hour, World Lit. Our class just finished the book Maus, by Art Spiegelman, and was about to watch a presentation about him, when suddenly, something extremely tragic happened. As the video started to play, we heard a loud bang coming from the hallway. It only sounded as though somebody dropped something large so I didn’t think much of it then, until a few seconds later, two more bangs rang through the halls of Arapahoe. In a split second, our class looked at each other with disbelieving eyes, and blood withdrew from my teacher’s face. Within the next instance, our entire class bolted to the corner of the classroom, kicking off papers while climbing over the desks, as everyone crammed their way as close as they could away from the entrance. In seconds, our teacher locked the door and whipped the lights off. I heard another couple shots, screaming, and somebody’s voice shouting threats to my colleagues. Adrenaline was pumping through every vein in my body, but I could not release it. I was crammed between my fellow classmates, scared to death in a dark room, not knowing whether this would be the last time any of us would ever see each other ever again. None of us knew what was happening outside of our class; who the shooter was, who he had just shot at, and who—among all of our friends out of 2200 at Arapahoe—could be gone from our lives forever. All I could do was sit there and pray to God. What made this worse was that the projector was still on and the movie was still playing, sound on full. Any shooter wandering down the halls could’ve picked our classroom out of the other completely dark ones to open fire into, and that kept popping into my mind. However, the movie stopped, the projector turned off, and we were left in a dark room. The only sounds I heard at this point were the cries of my fellow classmates and the shouting of officers in the hallways. I didn’t hear a single word from the video. After spending about an hour in this classroom, we were finally escorted out of the building by the S.W.A.T. team, hands raised in the hair. This photo is one I captured from the news on my TV. The student in the middle of the image, I believe, is me. 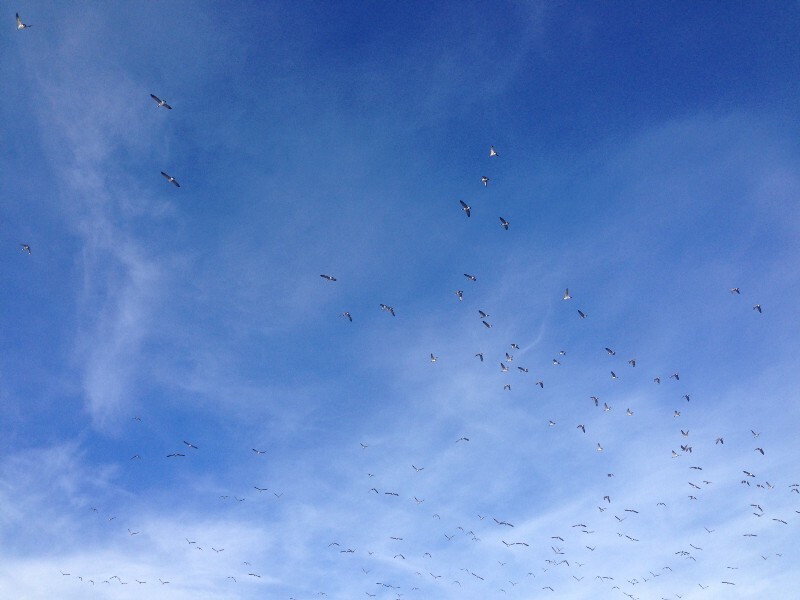 Another image of the geese flying above us on the track at Arapahoe High School. We waited on that track for about an hour and a half, 30 degree weather, with wind. I remember looking up, only to see a helicopter hovering in the sky, and a cloud of geese, the same geese I saw earlier this morning. I knew the geese were startled, but they didn’t fly off. The geese were gliding with the wind above our school, hovering over us, and I couldn’t help but think that each one of those hundreds of geese were family members and friends around the world looking down over us, praying for every single one of us. 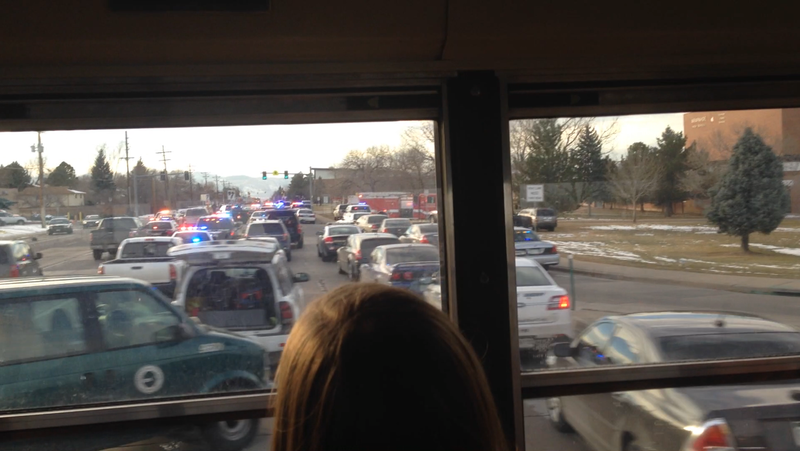 Looking westbound on Dry Creek Rd toward Arapahoe High School. Lined up like a parking lot, almost every vehicle you see out in front of the school is a government response vehicle. We were finally brought to Shepherd of the Hills church, not a block away from the school, but far enough. We waited inside of the chapel, as police asked some of us questions, and tried to investigate and organize everything even further. 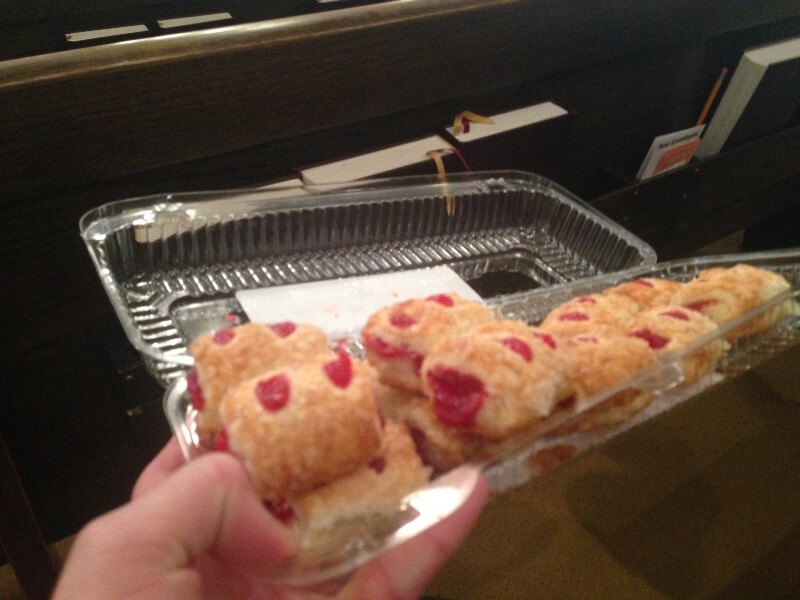 Pastries brought from King Soopers by the ministers of the church we were housed in. Apparently, King Soopers donated these pastries—along with fruit and water bottles—to us for free. The church was awfully generous. Even with the overwhelming amount of people, they were still able to hand out bottles of water, and even run to King Soopers to buy snacks for the frightened students waiting for their parents to pick them up. I can’t thank this church enough for doing this. Once my best friend and I parted ways (his parents checked him out before my mother was close), I was sitting alone. I wanted to check the news to see more updates, but my phone was dying because of the amount of messages I was receiving, and I wanted to keep it alive for my mom to contact me. So I sat there, thinking, did this really just happen? Am I going to wake up? I can only thank God for keeping me safe during this tragic event, but much of my gratitude also goes out to the emergency safety responders who arrived at the scene, and evacuated us as organized and efficiently as possible. I also have to express the endless amounts of appreciation I have for everyone who cared enough to send me a message asking if I was alright, and if I was doing okay. 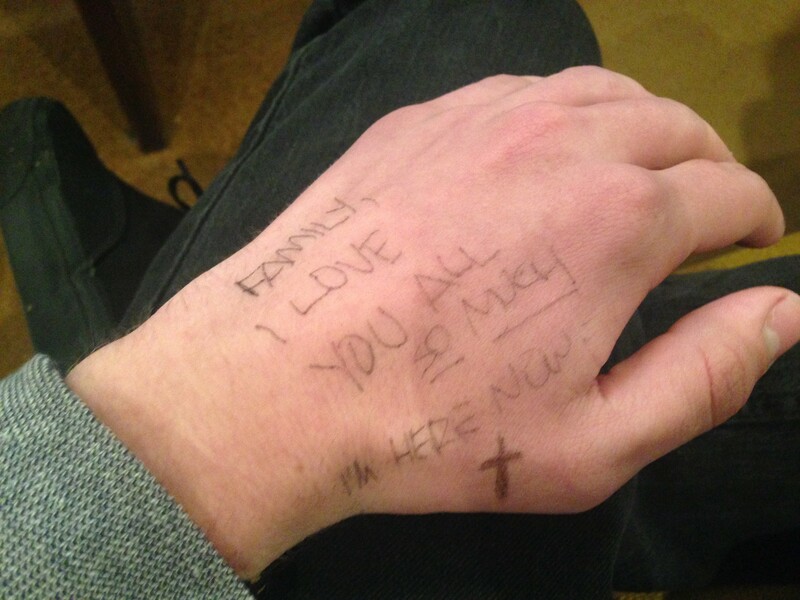 It’s incredible to see how loved you are in crisis’ like this one, and I’m so glad I have these people in my life. A view northbound on University Blvd. looking toward my high school, now a crime scene. Five hours later, I returned to my home. It was over, but at the same time it wasn’t. 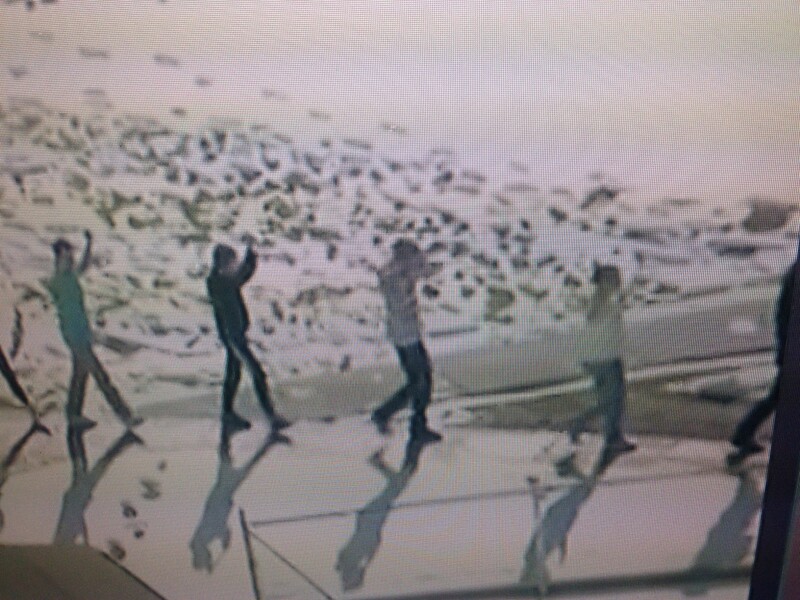 A couple other students were in the hospital, and reports were coming in about the vicitims and the shooter. I heard dozens of rumors while waiting for the buses on the track, and I just didn’t know what to believe, except for the fact that today actually happened. Today was an event that would forever change the history of my life, the history of Arapahoe High School, and even the history of the United States. One thing I learned, is that you never really know anything like this could happen to you, until it does. Hey, my name's Matt, and I’m currently a product designer in the Bay Area of California. I also write occasionally.